It has been said that every city makes its own unique music, though that “music” is more like a discordant jumble of various urban noises. What would it sound like if a city really could make music? Artist Akko Goldenbeld turned the city of Eindhoven into a one-of-a-kind musical instrument that makes the other type of urban music seem like…well, noise. 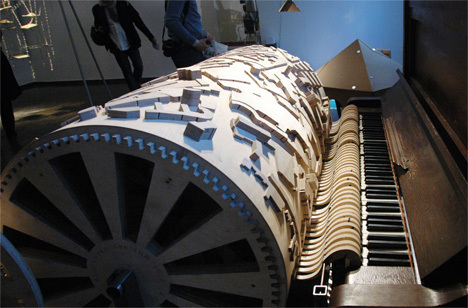 The project is called Stadsmuziek (or “City Music”), and it involves a large drum, a scale model of the city and a piano. 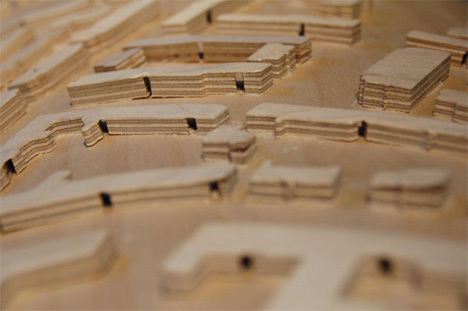 The model of Eindhoven, Netherlands was made to accurately depict the sizes and locations of the city’s buildings, which all sport their own unique height and shape. 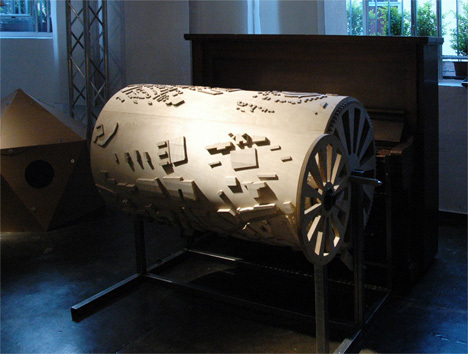 When the drum is slowly turned by hand, the three-dimensional buildings depress keys on the piano. The resulting music is strange and not at all melodic, but it is weirdly appealing, particularly when paired with the visual of the artist painstakingly turning the drum. Every part of the city represents a different sound, adding a new layer of personality to the buildings and void spaces there. Next time you walk through your city, think about what unique sound would be made by each of the buildings you pass by – maybe the city will take on a new kind of music.